"All works of art, it may be said, are more beautiful when they suggest something beyond themselves than when they end up being merely what they are." Soetsu Yanagi, The Unknown Craftsman: A Japanese Insight into Beauty. 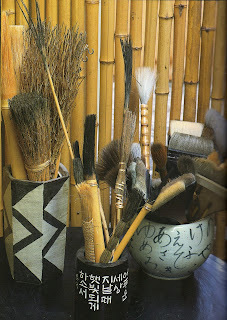 The following elements of Japanese design were taken from this book, written by Boye Lafayette De Mente. Japanese design is a way of life. There is no separation between life and art. They are the same thing. ISHI: The Use of Sabi Stones. 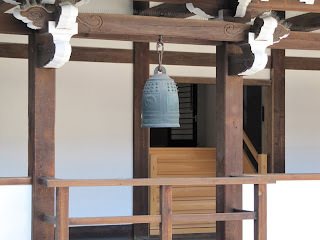 The Japanese imbue stones with spirituality and use them in many aesthetic ways. Their stones form a link between humans, the earth, nature--and they have a calming effect on the spirit. TAKE: The Beauty and function of bamboo. 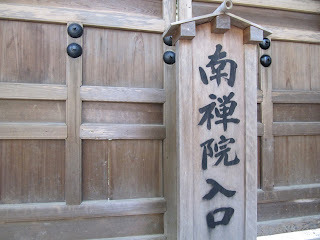 Bamboo is the foundation or frame of so many Japanese objects-- some estimates are above ten thousand. 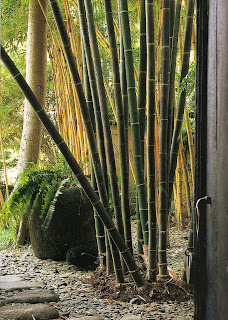 Bamboo is a symbol of virtue, fidelity and constancy. KI: Humility in Wood. In the Japanese concept of aesthetics, wood that is less than perfect is regarded as "humble" or more natural, and therefore more appropriate for humans, who need to be reminded by nature that imperfections are good. SABI: Savoring the "rust" of age. The basic meaning of sabi is rust, or to decline or to become solitary. Revering nature involves an appreciation of weathering, aging and the passage of time. This naturalness and simplicity exudes a sense of tranquility. FUKINSEI: Symmetry vs. Asymmetry. Fukinsei means "without balance". Artists learned a long time ago that asymmetry could be used to give designs a fresh, surprising, charming look. KATACHI: Making Things Shapely. Katachi relates to the perfect union of form and function. WABI: Desolate beauty--an Indefinable Wistfulness. 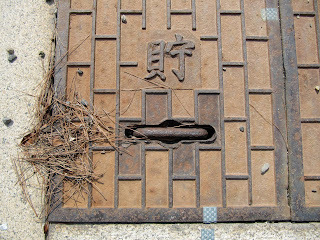 Wabi refers to rustic beauty, both natural and man-made. A deeper essence or meaning is more important than the material it is made from. as always this post is just fascinating. I know very little about Japanese Design, but I find it very peaceful and calming. I really like your collage work, the top piece with the meeting notes especially! thanks for this! Beautiful and illuminating insights into a culture that is foreign to me. Thank you. As I scroll down the post I feel transported to a time and place that calms and quiets ... each image so lovely to sip tea with. 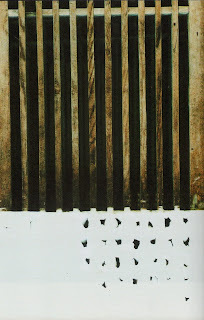 I loved the description of Fukinsei - without balance, asymmetry. Its my favorite, taught to me by my original teacher, Mom. I learned a lot from this post Donna. Thank you! Facinating posts with such wonderful pictures. And I love your collages -- especially the text in the first one and the composition of the second. Sabi stones do have a calming effect on my spirit and I can understand the Japanese way of imbuing stones with spirituality. I love your first collage and the quote beneath it. Art suggesting something beyond themselves .... love that. 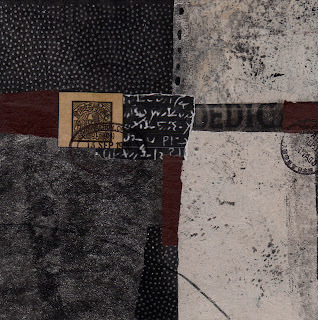 Super collages Donna, both displaying some of your signature elements, dots, stamps etc. You have a distinctive style which is instantly recognisable. Thank you also for the explanation of some of the terms relating to the Japanese aesthetic. 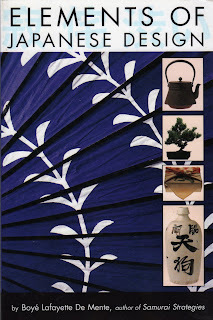 I am now going to see if I can get hold of a copy of the book 'Elements of Japanese Design', it looks very interesting. When I visit your blog it is as though I am coming to a sanctuary where the mind and soul is reborn. There is peacefulness and calm that lingers deep about your art and words and I cherish each one of them. Donna, your post does suggest a philosophy that is sometimes lost in the hustle and bustle of our lives: the acceptance of age and the passing of time, simplicity of design, recognition of change and the beauty that may evolve from this change - a second life. 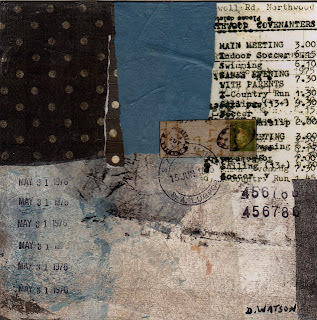 Your first collage resonates - dates and times, postage stamps - maybe for me, a time a can't keep and hold, how the past year has gone by and with it a loss, that I can only record memories as life has a time limit. Donna, that blue in the first collage just catches my eye. I love this piece. As always, an educational post, too. Lovely "way of life." Lovely treatise on Japanese design elements and philosophy. I get a strong sense of unity, esp. with the way you've written this. I concur with your impressions of Japan - I did go there for a month many years ago and beauty and tranquility are an ever present thing in the culture. artistic mindset. Stones have history and stories to tell I think that is why they are so calming to hold, they ground us to that history. Thanks so much for sharing and the blue in your collage, swoon. These photos are a rich experience alone and then the wonderful lessons and descriptions added...always the best part of your posts...your new collages and I like both...the second one has such beautiful Asymmetry! I also read all about your workshops in the sidebar...the facilities sound great and I just so would bet money, they will be an art changing event! Found this post as I was just starting my day. Like a deep intake of breath and then releasing all tension and expectation....ahhhhhhhhhhhhhh, calmness. Oh Donna, each of your posts is a work of art... this one I have had to read over and over again. Your first quote by Yanagi is making me think about my own art. Is there something that suggests something beyond the painting itself? So very thought provoking. And your collages, soft lines, do you plan them or do they just happen? 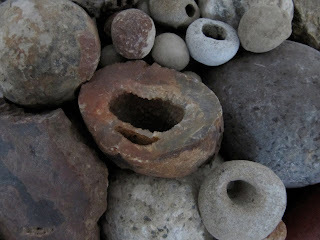 And stones... "forming a link between humans, the earth and nature." How beautiful. And your poem. You have refreshed my soul. What stunning pictures and descriptions, Donna! Another stimulating post - and another book to buy! Thank-you Donna, I like your 'Zen' thing here on your blog and the bird cages. I see you post regularly at Ruth's. I was on the board at WSO for three years. I'm on my own pursuits this year. Hope to meet you sometime in person. thanks for sharing this, the Japanese approach to art is very interesting. Hadn't had a chance to get over here, but as usual your post is brimming with elegance and intelligence. Your collage pieces are wonderful, so different and yet with your special touch. Donna, I really enjoyed this post. Your collages are lovely; I like the top one especially. Reading your posts feels to me like entering a sacred space. Your explanation of Japanese design elements is wonderful, and adds to my understanding of the aesthetic aspect of the culture. thanks so much for sharing this. Wonderful blog! I'll be back. Incredible post, and your collages are beautiful. The quote by Soetsu Yanagi is a work of art. Donna, A wonderful posting with images that convey so much serenity and beauty, and lovely words and interpretation. What a lovely blog, I must come again, especially when I need some "quiet"
your two pieces here are just GORGEOUS, as always. i have always loved japanese design, but know little about it other than that i find it aesthetically pleasing. another fantastic post, as always! I have been catching up on your posts. I realised that you have not been appearing on my blog list so have rectified that. I have been enjoying having the time to savour your comprehensive and educational posts. A way of life is impressive title and i read this book in summer with cup of tea and i really enjoy after the because this book give me perfect way to enjoy the life thanks for share it list of top medical schools .